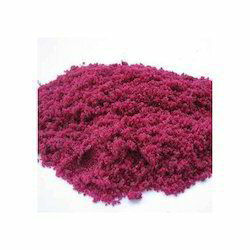 We manufacture Cobalt Chloride, Cobalt Acetate, Cobalt Nitrate etc. We are foremost manufacturer and supplier of premium quality Cobalt Acetate. The offered product is processed using supreme grade material and sophisticated technology in compliance with set industrial standards. Clients can avail this product from us at market lading price. We offer a large range Cobalt Chloride to our valuable clients. These products are of high demand in various industries and we offer them at various leading prices. 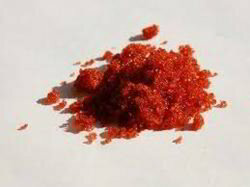 Cobalt Nitrate is the inorganic cobalt(II) salt of nitric acid, often with various amounts of water. 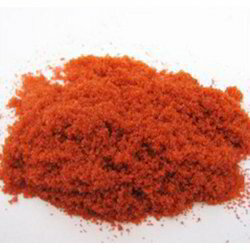 It is more commonly found as a hexahydrate, Co(NO3)2·6H2O, which is a red-brown deliquescent salt that is soluble in water and other polar solvents. Solubility 10% solution is clear in distilled water. Application Inks, Cobalt Pigments, Vitamin Preparations, Catalysts, Additive to Soils & Animal Feeds, Hair Dyes, Porcelain Decoration. Looking for Cobalt Salts ?